From here you can download the free version of Clickteam Fusion 2.5. 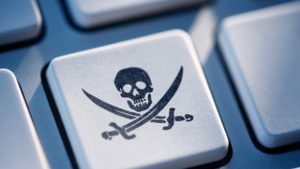 The free version is almost like the full version except just a few limitations, which is great as you get the full experience of using the full tool with just a handful of limitations. The free version of Clickteam Fusion 2.5 comes as the full software product that only limits you to a few certain things. It grants you access to the most used objects for game design and app development such as the Active Object, Backdrop Object, Buttons, Counters, Strings and many, many more. You are also granted use of the Physics objects inside of Fusion 2.5 so you can fully experience how the Physics engine works in conjunction with Box2D for your game development. You get full access to all the Fusion 2.5 editors including the Storyboard editor, the Frame editor, the Event editor, the Data editor and the Picture and Animation editors. 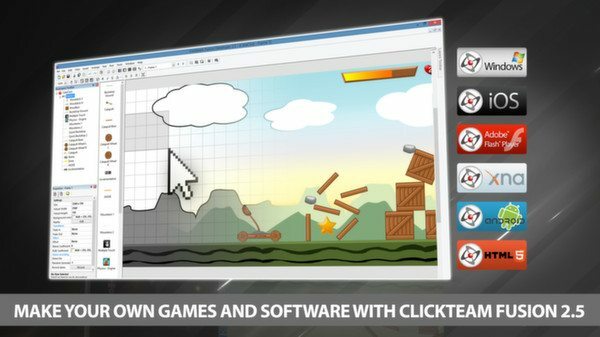 This will enable you to fully experience Clickteam Fusion 2.5 as a game and app development tool. The built-in editors allow you to swiftly design your game or application with just a few clicks and access to the Event Editor is literally one-click away at all times meaning you get instant access to coding your game. Clickteam generously offer a free version of the HTML5 exporter along with the free version of Clickteam Fusion 2.5. This means you can export your game or app into HTML5 format to be used on the web or on iOS. 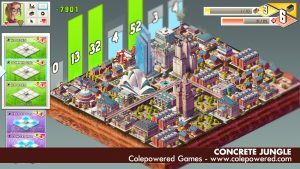 The HTML5 exporter is limited in the free version but it allows you to check out the speed and performance of the exporter and it allows you to create cool games to play with your friends or peers. You get access to all the supported filetypes except AVI and TGA. This means you get full Bitmap, GIF, JPEG and PNG support along with PCX, FLI/FLC support too. This means you are free to import any type of art or animation into Fusion 2.5 for use in your game or app development and design. Even though the Clickteam Fusion 2.5 Free Edition comes packed with all the above features and many more, it doesn’t end there. You are also able to export your HTML5 games and distribute them freely with no royalties or license fees to pay. What more could you ask for? 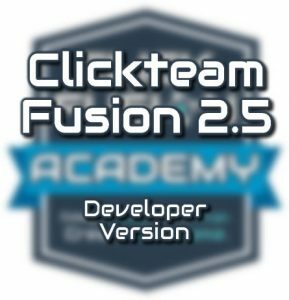 You are more than welcome to join the ClickFusion Academy using the free version of Clickteam Fusion 2.5. Most of what the Academy covers allows you to implement inside the Free Version of Clickteam Fusion 2.5, so you can join the Academy and download Fusion 2.5 both for free and learn to make your own games with Fusion today.